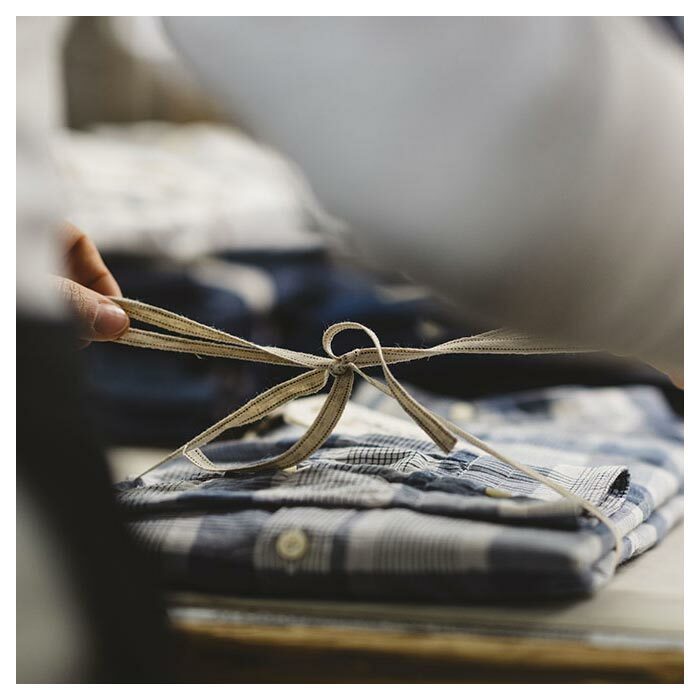 How a shirt is born. 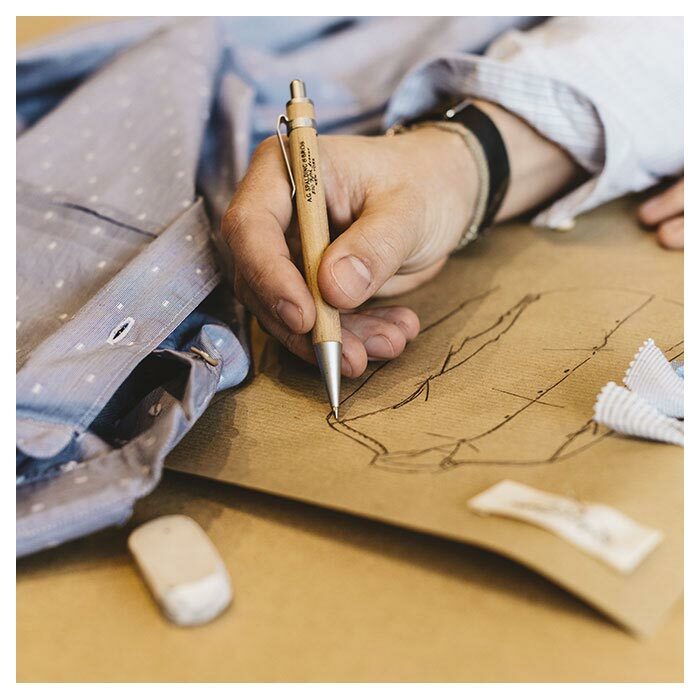 The fabrication of cuffs, the finishing of the placket, the two shallow-hole buttons that Mr Angelo, the founder, used in the Fifties, are the details that the quintessential man loves. 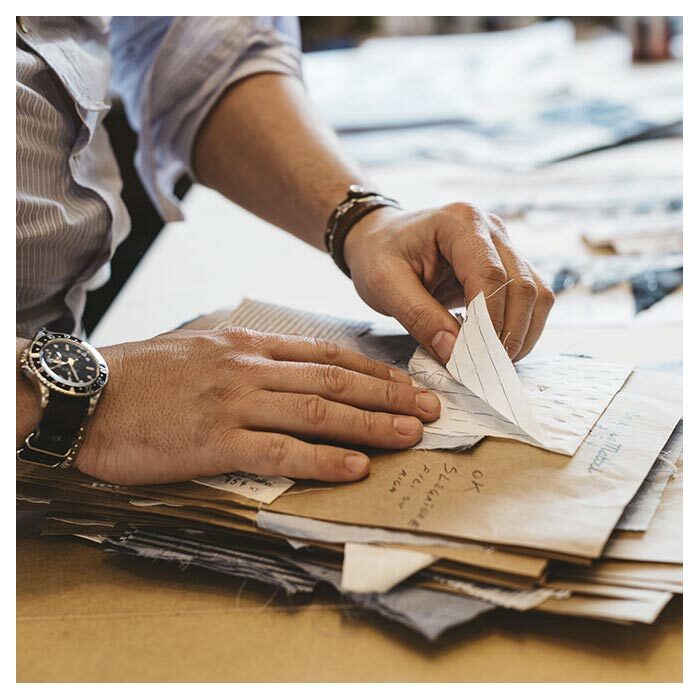 The hand-made cotton label is innate to the man that wears it, to the search for beauty in small meaning-laden gestures. Japanese flannel worked on 19th century looms, fil coupé and historical jacquard. which delves into the past to bring it to the threshold of vanguard technology. 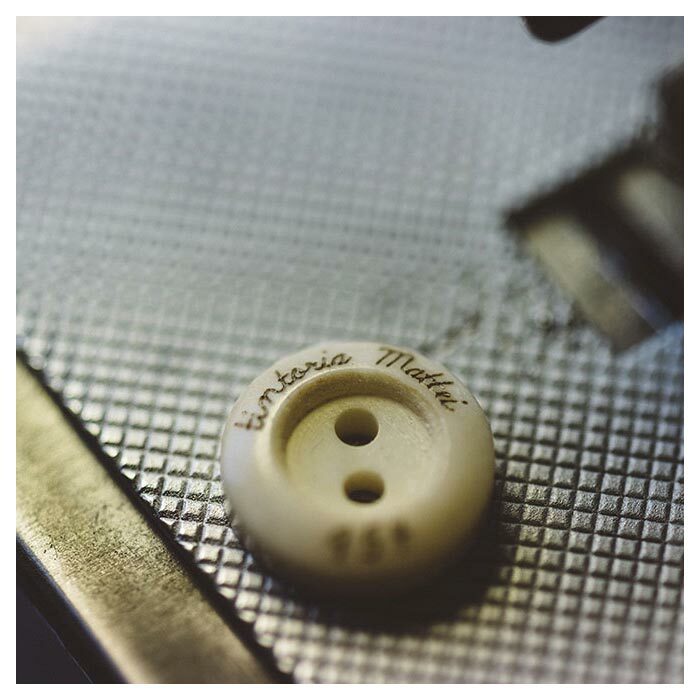 bone buttons tinted with tea. 1954. The year the founders’ adventure begin. An era symbol of a timeless elegance, of the cult of a sophistication intrinsic in gestures and customs. A retro look, an attitude in search of beauty that fully corresponds to the nature of the man reflecting the brand, globetrotter with a penchant for enjoying life by focussing on the images and passions of everyday life.